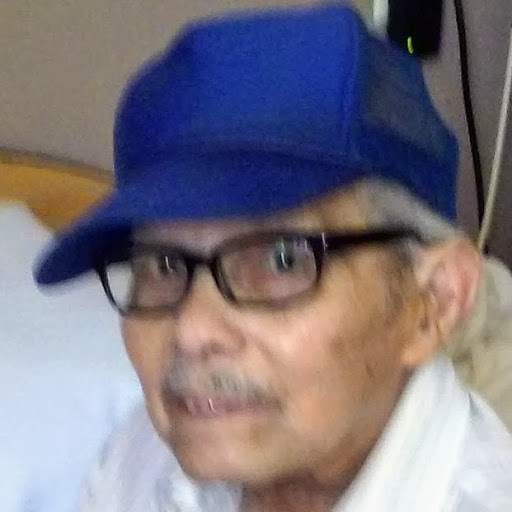 Santos Gomez, 90, of Hudson, MA, passed away unexpectedly on Monday, April 1, 2019, at Marlborough Hospital, surrounded by his loving family. He leaves behind his beloved wife of over 50 years, Nelida M. (Luna) Gomez. Santos was born on September 3, 1928 in Juana Diaz, Puerto Rico, a son of the late Vicente Torres and Angela Gomez. Santos was raised in Puerto Rico, where he graduated from High School and spent his younger years, before migrating to Chicago in 1950. Santos finally settled in Hudson, MA in 1960, where he still currently resided. Santos later married the love of his life Nelida M. (Luna) Gomez in 1968. Santos worked locally as a machine operator, eventually retiring from Carlisle Screw Company. Santos was a longtime member of Saint Michael Parish in Hudson. He enjoyed gardening and fishing. He had a lifelong passion for music, which he shared through his love of dancing and his talented guitar playing. He found the greatest joy in life being around his family, especially his many children, stepchildren and grandchildren. In addition to his beloved wife Nelida M. (Luna) Gomez, he is also survived by 4 children, Santos Gomez, Jimmy Gomez and his spouse Bette Mallozi, Stephen Gomez and his spouse Bonnie and Lynda Russell; 5 stepchildren, Gilbert Guzman and his spouse Ana Burgos, Ana Voltz-Didion and her spouse Randle Didion, Rafael Rivera and his spouse Leda Pedroga, Evelyn Colon and her spouse Santos and Domingo Luna; a sister in Puerto Rico, Victoria Gomez and four grandchildren, Zachary Gomez, Haley Gomez, Santina Russell and John Russell. He was predeceased by his parents and two sisters, Gregoria Torres and Margarita Garcia. Relatives and friends are invited to a period of calling hours from 5 pm until 8 pm on Monday, April 8, 2019, at TIGHE HAMILTON REGIONAL FUNERAL HOME, 50 Central St., Hudson, MA. A funeral cortege will process to Saint Michael Parish, 21 Manning St., Hudson, MA, on Tuesday April 9, 2019, for a 10 am Mass of Christian Burial; followed by interment at Saint Michael Cemetery in Hudson. In lieu of flowers, memorial donations can be made in his name to: Saint Jude Children’s Research Hospital, 501 St. Jude PL, Memphis, TN 38105; www.stjude.org.